The Utah State Railroad Museum maintains an attractive collection at Ogden's Union Station. Some of the treasures found therein include EMD's monster DDA40X "Centennial" diesel no. 6916, seen here in pristine condition. 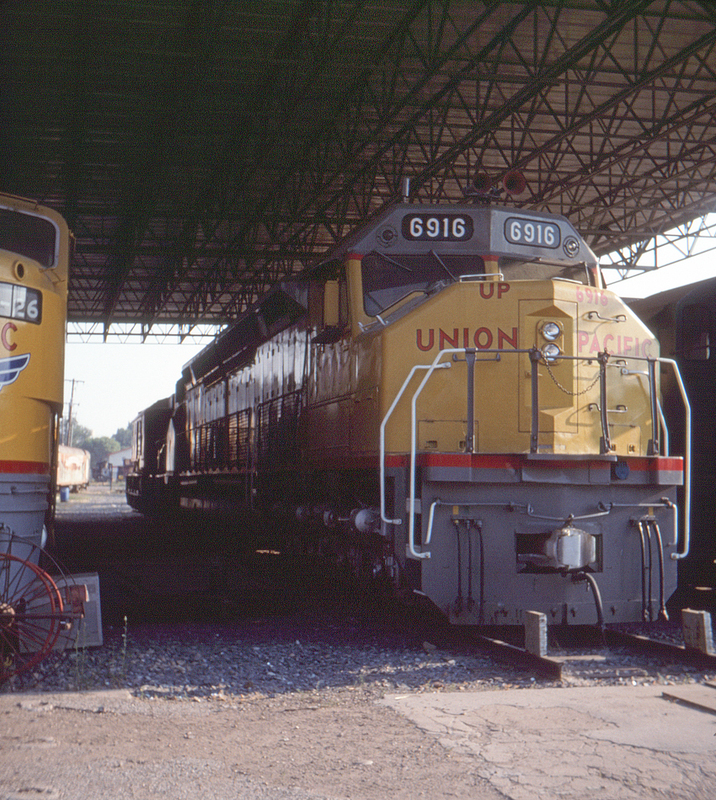 Resembling two GP40s on a single frame with one wide cab and pairs of eight-wheel trucks at each end, the DDA40X was the most powerful (and longest) diesel locomotive ever built in the United States (excluding multiple-unit consists), and was nicknamed "Centennial" due to its introduction in 1969, the 100th anniversary year of the famed "golden spike" ceremony. The last DDA40X saw revenue service in 1985.